Choosing a car is an extremely important decision, which is why every Honda Certified Pre-Owned Vehicle must pass a rigorous certification process before it hits the roads of Albany. 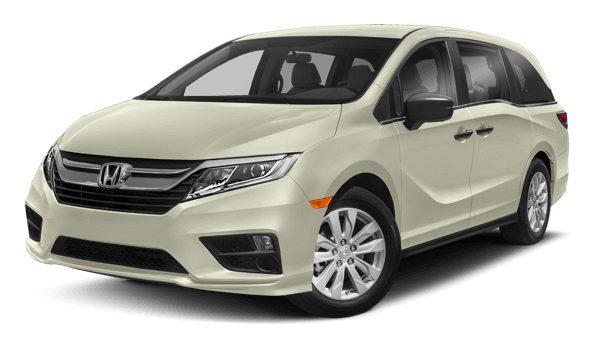 So when you browse the CPO Honda inventory at Rensselaer Honda, you’ll have total confidence that whatever car you pick will be up to Honda’s high standards for safety and reliability. When you’re ready to browse popular CPO models like the Honda Accord and the Honda Civic, stop by for a test drive at your leisure! Black 2016 Honda Civic LX FWD CVT 2.0L I4 DOHC 16V i-VTEC Black/Gray Cloth. Recent Arrival! 31/41 City/Highway MPG Awards: * 2016 IIHS Top Safety Pick+ (When equipped with honda sensing) * NACTOY 2016 North American Car of the Year * 2016 KBB.com Brand Image Awards 2016 Kelley Blue Book Brand Image Awards are based on the Brand Watch(tm) study from Kelley Blue Book Market Intelligence. Award calculated among non-luxury shoppers. For more information, visit www.kbb.com. Kelley Blue Book is a registered trademark of Kelley Blue Book Co., Inc.
Black 2016 Honda Civic LX-P FWD CVT 2.0L I4 DOHC 16V i-VTEC black Cloth. Recent Arrival! 30/41 City/Highway MPG Awards: * 2016 IIHS Top Safety Pick+ (When equipped with honda sensing) * NACTOY 2016 North American Car of the Year * 2016 KBB.com Brand Image Awards 2016 Kelley Blue Book Brand Image Awards are based on the Brand Watch(tm) study from Kelley Blue Book Market Intelligence. Award calculated among non-luxury shoppers. For more information, visit www.kbb.com. Kelley Blue Book is a registered trademark of Kelley Blue Book Co., Inc.
Certified. Crystal Black Pearl 2016 Honda Civic LX FWD CVT 2.0L I4 DOHC 16V i-VTEC Black/Ivory Cloth. Recent Arrival! 41/31 Highway/City MPG** Honda Certified Used Cars Details: * Transferable Warranty * Roadside Assistance * Vehicle History * Limited Warranty: 12 Month/12,000 Mile (whichever comes first) after new car warranty expires or from certified purchase date * Powertrain Limited Warranty: 84 Month/100,000 Mile (whichever comes first) from original in-service date * 182 Point Inspection * Warranty Deductible: $0 Awards: * 2016 IIHS Top Safety Pick+ (When equipped with honda sensing) * 2016 KBB.com 10 Best Sedans Under $25,000 * 2016 KBB.com Best Buy Awards Winner Small Car * 2016 KBB.com Best Buy Awards Winner Overall Best Buy * 2016 KBB.com 10 Most Awarded Cars * 2016 KBB.com 16 Best Family Cars Sedan * 2016 KBB.com Brand Image Awards 2016 Kelley Blue Book Brand Image Awards are based on the Brand Watch(tm) study from Kelley Blue Book Market Intelligence. Award calculated among non-luxury shoppers. For more information, visit www.kbb.com. Kelley Blue Book is a registered trademark of Kelley Blue Book Co., Inc.
Certified. Cosmic Blue Metallic 2016 Honda Civic EX FWD CVT 2.0L I4 DOHC 16V i-VTEC Black/Gray Cloth. Recent Arrival! 31/41 City/Highway MPG Honda Certified Pre-Owned Details: * Vehicle History * Warranty Deductible: $0 * Transferable Warranty * 182 Point Inspection * Limited Warranty: 12 Month/12,000 Mile (whichever comes first) after new car warranty expires or from certified purchase date * Powertrain Limited Warranty: 84 Month/100,000 Mile (whichever comes first) from original in-service date * Roadside Assistance with Honda Care purchase Awards: * 2016 IIHS Top Safety Pick+ (When equipped with honda sensing) * NACTOY 2016 North American Car of the Year * 2016 KBB.com Brand Image Awards 2016 Kelley Blue Book Brand Image Awards are based on the Brand Watch(tm) study from Kelley Blue Book Market Intelligence. Award calculated among non-luxury shoppers. For more information, visit www.kbb.com. Kelley Blue Book is a registered trademark of Kelley Blue Book Co., Inc.
Certified. White 2017 Honda Civic EX FWD CVT 2.0L I4 DOHC 16V i-VTEC Black Cloth. Recent Arrival! Odometer is 2068 miles below market average! 31/40 City/Highway MPG Honda Certified Pre-Owned Details: * Vehicle History * Limited Warranty: 12 Month/12,000 Mile (whichever comes first) after new car warranty expires or from certified purchase date * Roadside Assistance with Honda Care purchase * Transferable Warranty * Warranty Deductible: $0 * Powertrain Limited Warranty: 84 Month/100,000 Mile (whichever comes first) from original in-service date * 182 Point Inspection Awards: * 2017 IIHS Top Safety Pick (When equipped with Honda Sensing) * 2017 KBB.com Brand Image Awards * 2017 KBB.com 10 Most Awarded Brands 2016 Kelley Blue Book Brand Image Awards are based on the Brand Watch(tm) study from Kelley Blue Book Market Intelligence. Award calculated among non-luxury shoppers. For more information, visit www.kbb.com. Kelley Blue Book is a registered trademark of Kelley Blue Book Co., Inc.
White 2016 Honda Accord EX-L FWD CVT 2.4L I4 DOHC i-VTEC 16V ivory Leather. Recent Arrival! 27/37 City/Highway MPG Awards: * ALG Residual Value Awards * 2016 KBB.com Brand Image Awards 2016 Kelley Blue Book Brand Image Awards are based on the Brand Watch(tm) study from Kelley Blue Book Market Intelligence. Award calculated among non-luxury shoppers. For more information, visit www.kbb.com. Kelley Blue Book is a registered trademark of Kelley Blue Book Co., Inc.
coffee metallic 2016 Honda Accord EX-L FWD 6-Speed Automatic 3.5L V6 SOHC i-VTEC 24V black Leather. Recent Arrival! 21/34 City/Highway MPG Awards: * ALG Residual Value Awards * 2016 KBB.com Brand Image Awards 2016 Kelley Blue Book Brand Image Awards are based on the Brand Watch(tm) study from Kelley Blue Book Market Intelligence. Award calculated among non-luxury shoppers. For more information, visit www.kbb.com. Kelley Blue Book is a registered trademark of Kelley Blue Book Co., Inc.
All pre-owned vehicle photos are of the exact vehicle listed. Whether you are looking at our brand-new Honda vehicles, or prefer a quality used model, we recommend viewing our Certified Pre-Owned inventory before you choose. Every Honda Certified used vehicle must undergo a rigorous 182-point inspection. Some of the key components checked include brakes, engine, tires and wheels, and the overall body condition. These Honda models must be under six years old and have less than 80,000 miles on the odometer. Our Certified Pre-Owned Honda inventory has something for all drivers around Albany and Schenectady. If you need a sedan for your travels, take a look at our Honda Accord and Civic models. Need something a little larger in size? Our SUV lineup includes the Honda Pilot, CR-V, and HR-V. And for those who are in the market for a reliable pickup truck, our Honda Ridgeline models will suit your driving needs. Whichever Certified Honda vehicle decide to drive away in, we know it will be in like-new condition and ready for all the miles around Saratoga. Our Certified Pre-Owned Honda inventory is ready for our Latham customers to view. Make your way down to Rensselaer Honda to view our current lineup of Honda models. We take pride in serving the entire Troy, NY region. If you would like to request more information about our Certified Pre-Owned Honda program, please give us a call directly or contact us online. We look forward to meeting you soon.